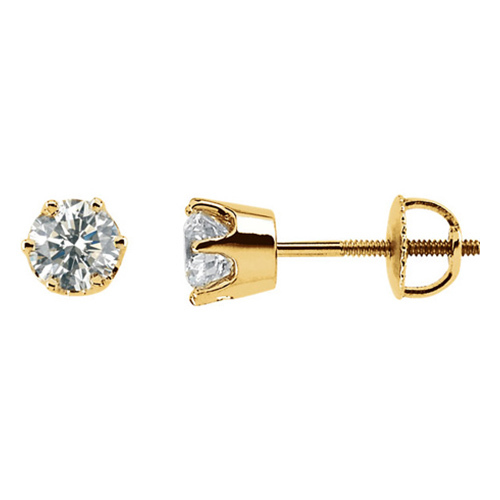 This pair of 14kt yellow gold 1 ct tw diamond stud earrings has two .50 ct round genuine diamonds. Diamond color G-H, clarity SI2-SI3. Threaded backs. These earrings weigh 1.49 grams.